On Thursday October 20, 2016 Lebanon Police were called to Walmart for a report of a white male shoplifter who had fled from security staff at the shopping center. The suspect reportedly stole several hundred dollars worth of merchandise and fled when confronted. Walmart security was able to recover the majority of merchandise but were not able to apprehend the suspect. 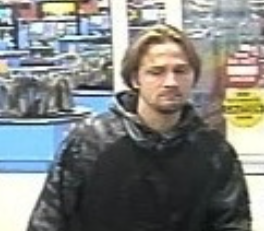 Lebanon police are asking for public assistance identifying this male subject described as white, approximately 5’8” tall, with brown hair and some facial hair. The suspect is in his twenties to early thirties and was wearing tan pants and a gray and black sweatshirt. Anyone with information is asked to contact the Lebanon Police Department at 603-448-1212.